Senior societies of Dartmouth date back to 1783, according to the College's Office of Residential Life. 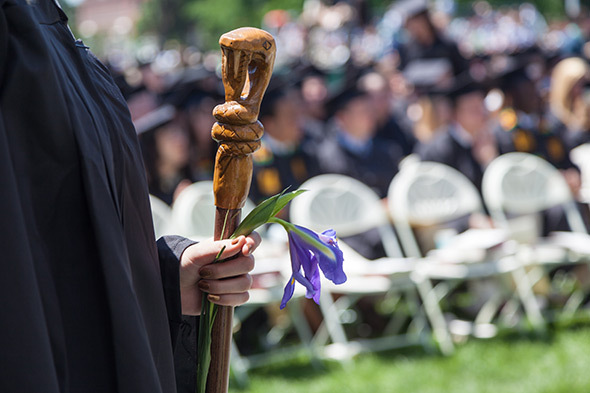 There are 10 senior societies in existence today, at least six of which keep membership secret until the carved canes show up at Commencement. About 25 percent of the senior class is affiliated with a senior society, according to the residential life office. The two oldest senior societies still in existence are Sphinx, founded in 1886, and Casque and Gauntlet, founded in 1887. Both are part of the Dartmouth landscape. Casque and Gauntlet has occupied the house at 1 South Main Street since 1894, and the Sphinx Tomb building on East Wheelock has inspired curiosity since its construction in 1903. Sunday will be filled with honors, to which senior canes will add one more accoutrement of distinction.